Minas 71 is an exclusive residential development that is inserted in a beautiful valley in Huixquilucan, State of Mexico. The complex terrain with its magnificent views are the conceptual foundations that predominate in the design of a volume containing 40 apartments, a two-level pentgarden and amenities. The entire project begins one floor below street level. 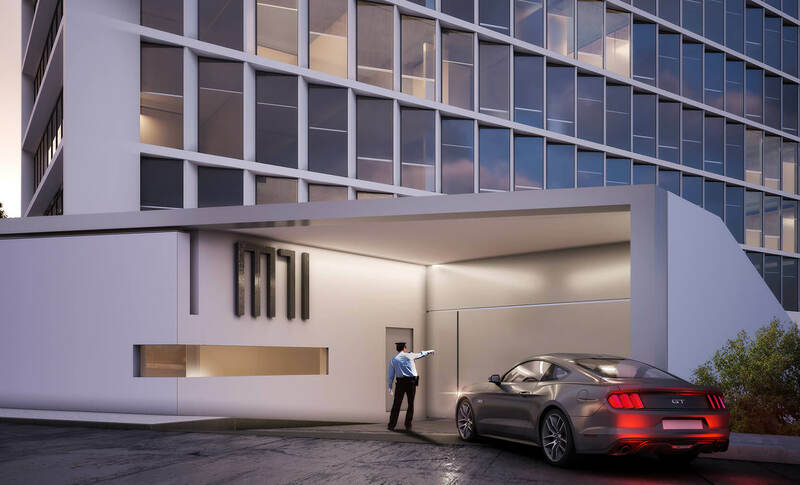 The vehicle access via the motor lobby forms a spatial link between the building and its surroundings, introducing users to a large open porticoed space that welcomes and distributes them to the two vertical circulation nuclei, set within delicate glass boxes. 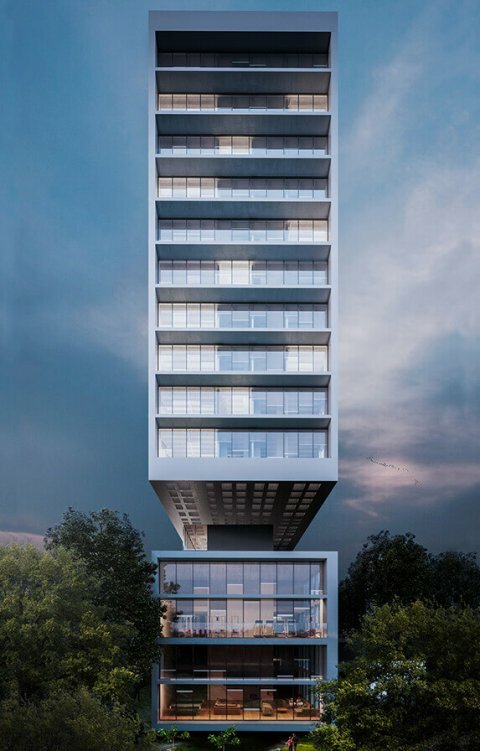 The volumetry of the building has been designed as a tall, slender ten-story body that maintains a striking presence in its context thanks to its appearance and positioning. The complex adjoins a significant area of federal forest lands to the south, which ensures privacy and enduring views of the woodland. 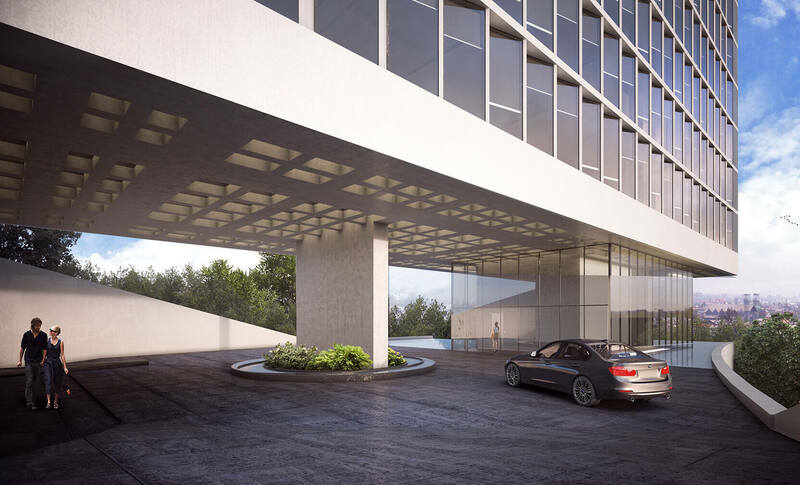 Four levels of parking are located beneath the motor lobby, while on the south side the amenities occupy double-height spaces: a gym and a games room with expansive views of the green areas. The architectural layout is based on the composition of four apartments, with more or less the same spatial distribution on each floor. The difference lies in the fact that the outer apartments are identical while the inner two are symmetrical, or in other words, the floor plan is mirrored around a central axis, with the social spaces (lounge, living-dining room, family room) to the east, and the bedrooms and kitchen to the west. The façade plays an important role in generating a sensation of movement. The openings in the east and west façades are arranged in a series of intervals that interrupt the orthogonal character of the volume. On the one hand they express the clarity of the glass, and on the other the strong presence of the white concrete, enhancing the views of the interior. 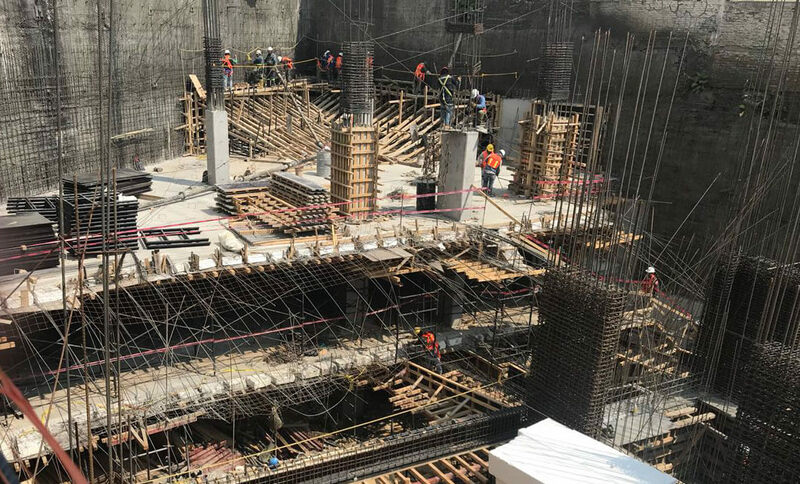 A significant aspect of the project is the structural solution employed, achieved through the use of a 1.7-meter-thick waffle slab on level -1 that transfers the weight of the slender columns to the more robust ones on that floor. 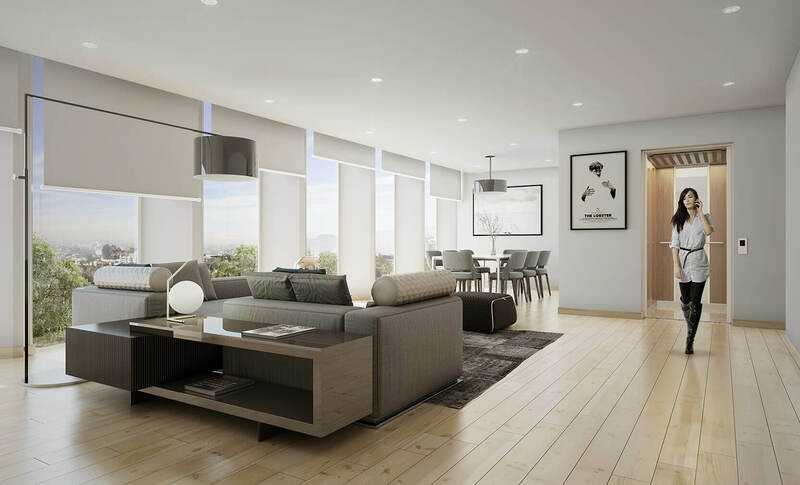 This construction system was implemented in order to provide large spans that allow for a much more flexible layout for the apartment interiors.